The climate is very warm and tropical on the coast and in the north, with a rainy season from May to November. Though the temperature varies little throughout the year due to Colombia’s proximity to the equator, it does vary according to altitude. It is cooler in the upland areas and cold in the mountains, and in the cooler times of the year the nights can be freezing. 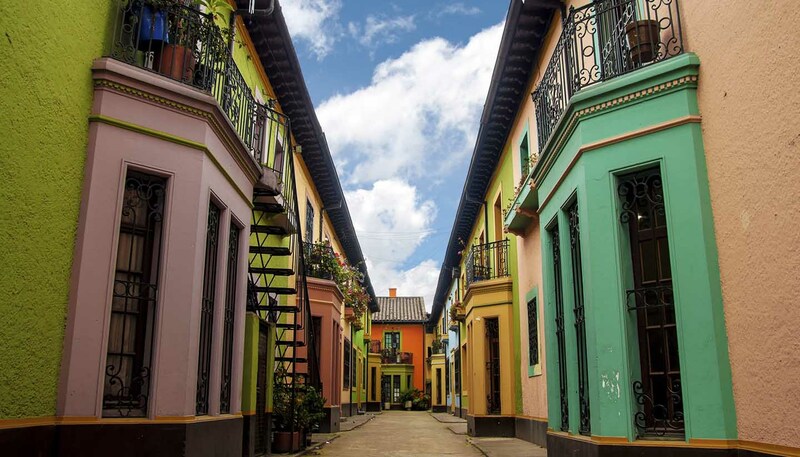 Bogotá is always spring-like, with cool days and crisp nights, though when the sun is shining the days can get quite hot. The Amazon region generally stays warm and wet year round. The best time of year to visit is at either of the drier times: December to March or July and August. This is a good time for hiking, too; getting caught out in a storm is not ideal, especially if you can’t dry out for several days because you’re on a multi-day hike. 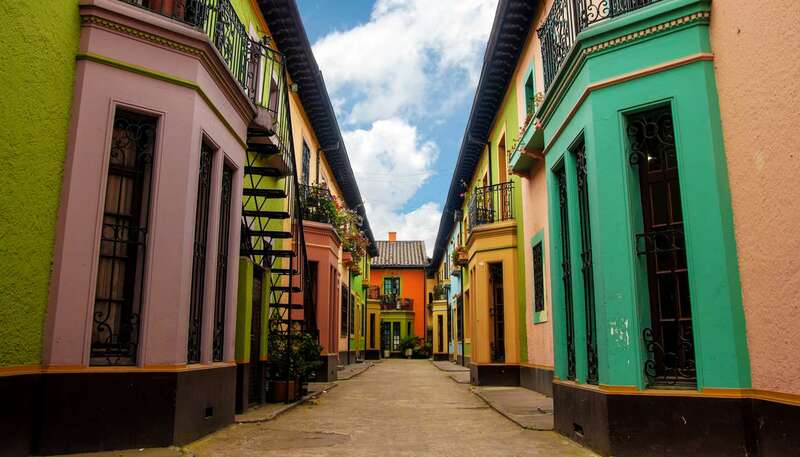 Bear in mind that major religious holidays will also play a part in the best time of year to visit: Santa Semana is a stunning time to travel to Colombia due to the ostentatious celebrations, but the hotels book up fast and double their rates. Generally, Colombia requires light clothing suitable for warm to hot weather. However, Bogotá and other places of high altitude get cold at night and even in the shade during the day, particularly in the cooler times of year. You’ll definitely need at least a warm sweater and trousers for this, preferably a jacket. If you are hiking you’ll need good boots in the colder mountainous regions and good walking sandals for the Zona Cafetera to let your feet air but still give support. Very light clothing for the Amazon Basin is required, but having long sleeves and trousers for the evenings to prevent mosquito bites is a good idea. For the rainy season, have something waterproof such as a light jacket to fend off the downpours. Colombia is situated in South America, bordered by the Caribbean Sea and the Pacific Ocean, Panama, Ecuador, Peru, Venezuela and Brazil. The Andes Mountains extend into the country in three ranges running south to north, dipping finally into the lowlands of the Caribbean coast. Along the southern Pacific coast run marshy lowlands and rugged low mountains. The southwestern coastal lowlands extend in a trough running from the port of Buenaventura to the Caribbean. East of this rise the slopes of the Western Cordillera which, with the Central Cordillera range, runs north to the Caribbean lowlands from Ecuador. Further north lies the fertile Cauca Valley, which becomes a deep gorge running between the Cordilleras to the Caribbean lowlands. The Eastern Cordillera, the longest range, rises north of the Ecuadorean border and runs north then northeast towards Venezuela. Flat grassy prairies in the east along with the jungles and towering rainforests of the Amazon make up over half the country's area. Colombia also claims two small islands, San Andrés and Providencia, located 700km (430 miles) north of the coast.